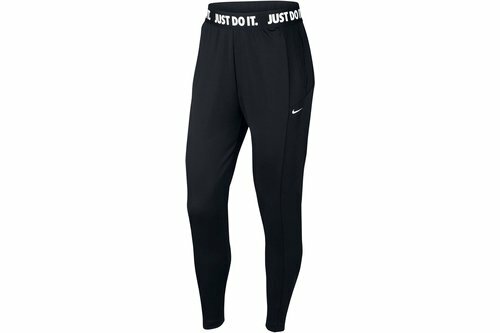 The Nike Dri-FIT Power Jogging Pants feature a slim, tapered look that&apos;s roomy enough to let you move freely through your workout. Crafted to provide stretch and support, they are finished with an elastic waistband featuring a repeating "Just Do It." graphic and Nike Swoosh to the leg. > Nike Power fabric provides stretch and support. > Exposed elastic waistband features a repeating "Just Do It." graphic.